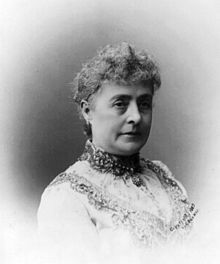 Sunday October 5 marks the Second Caroline Scott Harrison Day, celebrating the life of US First Lady and alumna of Oxford Female Institute, Caroline Scott Harrison (1832-1892). Learn about plans for a bronze statue of Caroline on the grounds of OCAC, while enjoying cake and cider and the chance to win great door prizes at this Open House celebration. Oxford Community Arts Center, 10 S. College Avenue, Oxford, Ohio, 10/5/2014, 3-5 pm.